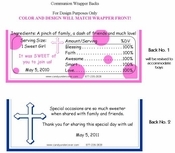 Imagine your Daughters picture on this beautiful First Holy Communion Candy Bar Wrapper! Show her off on her special day! Complete with pretty pink hearts, your Daughters name and date of Communion. 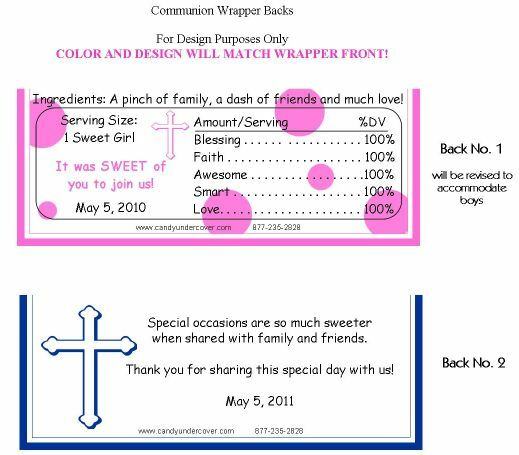 These Communion Candy Wrappers make the perfect 1st Communion Favor!